I only ever wanted to be a Broadway entertainer, but even before I could sing my first Gershwin tune, I could be seen doing the work of a mini-me-mediator in superhero pajamas. I was born in Philadelphia, PA, and raised in Scottsdale, AZ. I have called both New York and Los Angeles home, but found my way back to Scottsdale several years ago. I love the southwestern desert and am here to stay. My undergraduate work at the Boston Conservatory of Music laid the unexpected groundwork, combined with my education at Pepperdine Law School and my Master’s level work at Straus Institute For Dispute Resolution, for becoming a professional family mediator. Today [November 2016], I am as content as I have ever been, mainly thanks to my remarkable wife, Karen, and (almost) newborn baby girl, who are the lights of my life. Karen and I opened our doors to The Aurit Center for Divorce Mediation in Scottsdale, Arizona in the winter of 2014. I am a licensed attorney, but divorce mediation makes up my entire practice. As our senior professional divorce mediator, I spend every day in our mediation space working with courageous spouses who reach divorce and parenting agreements. As our Director of Mediation Services, Karen guides spouses through the process in-between mediation meetings, and moves our practice forward. Her background in clinical psychology is invaluable to our clients’ experience. We focus exclusively on divorce mediation, mainly with clients who are unrepresented by attorneys, and we also mediate post-divorce issues related to parenting plans. Our divorce mediation work takes spouses through the entire divorce process from initial filings to mediation of agreements, and the drafting and filing of their final Decree with the court. Our clients never enter a courtroom. Our time out of the office is spent raising awareness in our Phoenix area community about the existence and benefits of family mediation. I learned about mediation in law school. The ideas of interest-based conversations to best resolve conflict struck me as more aligned with the reasons I wanted to become an attorney, when compared with litigating cases within an adversarial process that causes harm. 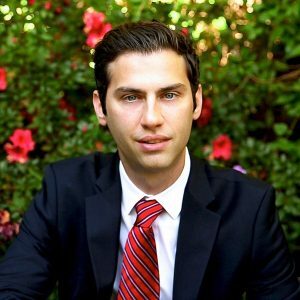 I transferred to Pepperdine Law School in my second year, knowing very little about mediation, but enough to recognize that I wanted to be around it. I remember my first few courses in dispute resolution—Communication and Conflict; Psychology of Conflict; and Mediation Theory. I was hooked. That led me to pursue my M.D.R. at the Straus Institute. I never looked back. While I learned about mediation at Straus, I learned about how to be a mediator through the trainings and tutelage of Jim Melamed and Chip Rose. Literature by Don Saposnek, John Haynes, Steve Erikson and Marilyn McKnight supported my early understanding about how to approach mediation. Advice from Lani Baron, through her mediation institute, was my catalyst to enter the field full-time. I hope that, overall, I might influence more open-minded perspectives within our field when it comes to how mediators and how mediation should appear. I hope to further the idea that mediators can be exceedingly effective at any age, and from a variety of different backgrounds. When mediators collaborate—share substantive mediation and business experiences—this strengthens all mediators’ capability to enjoy successful practices. And, this results in raising greater awareness about mediation and serving more families. Our overarching aspiration that the public becomes as aware of mediation as litigation depends largely on unity within our own field. Unity is also necessary in how we, as mediators, present ourselves. Mediators should be bold in introducing themselves to other individuals and to their community. I introduce myself as a “professional divorce mediator” without an “attorney” asterisk before or after. When we express this confidence, we help more clearly to define ourselves and better define our profession. It’s challenging, but also empowering to embracing this frame, and I think crucial to individual and field-wide success. I see our field becoming more unified, as evidenced by the re-formation and early growth of the Academy of Professional Family Mediators. Now, APFM should be a leader in advancing uniform standards for family mediators. It is necessary for family mediators to achieve quality control, in part through competency certification, in order for the field to grow in the most beneficial way. Over the next ten years, I see the field growing exponentially. Spouses and parents will receive increased accessibility to online information about the litigation and mediation processes in greater numbers. I hope to see this proud, united field embrace certification and improved quality of mediation, quality of services, and quality of communications and community outreach. Relax. For me, few things beat relaxing by the pool with a great book (and, in Arizona, we can do that 12-months out of the year)! Karen and I also love to travel and experience intensely different cultures and communities. And, I’m all about a good Netflix bender.